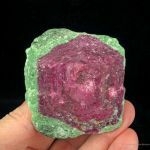 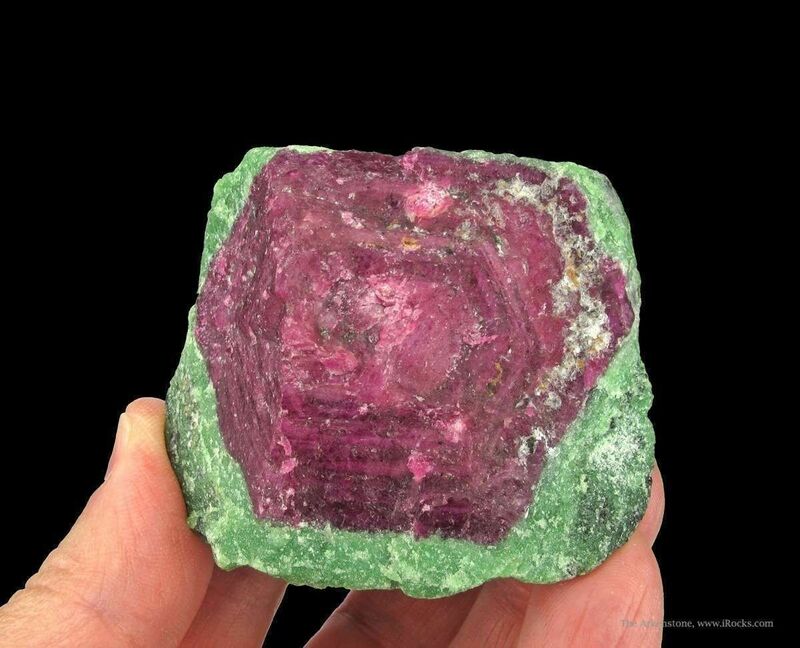 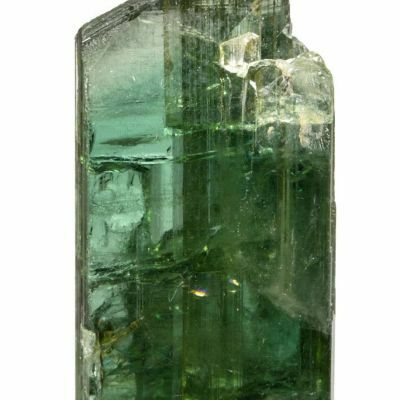 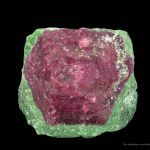 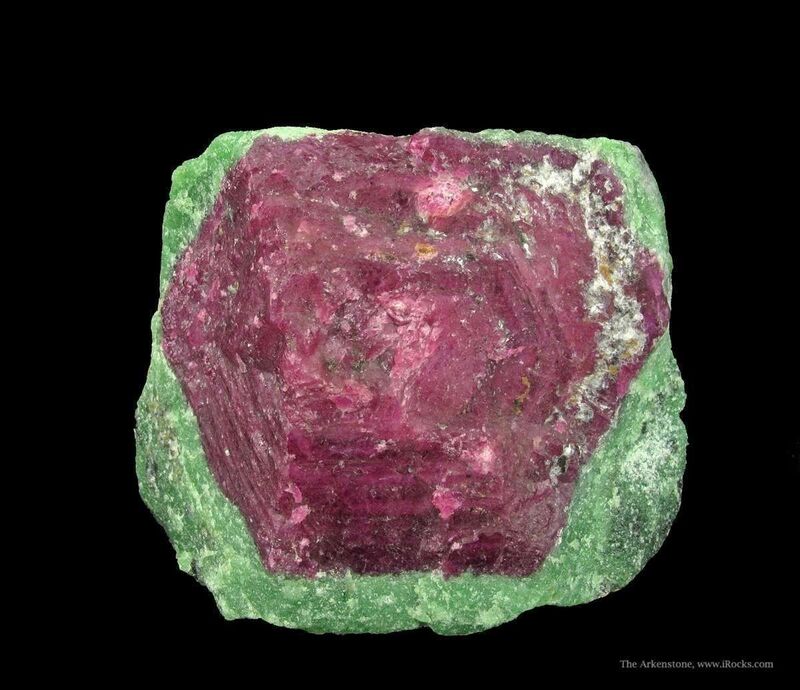 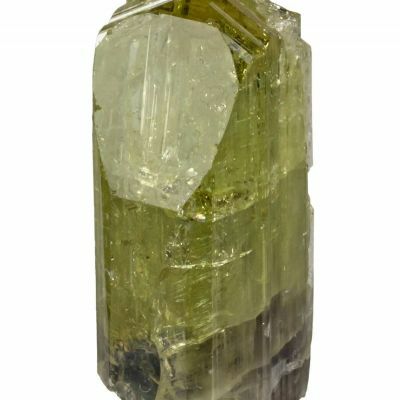 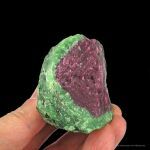 Classic combination of a gigantic Ruby crystal set in a matrix of green Zoisite. 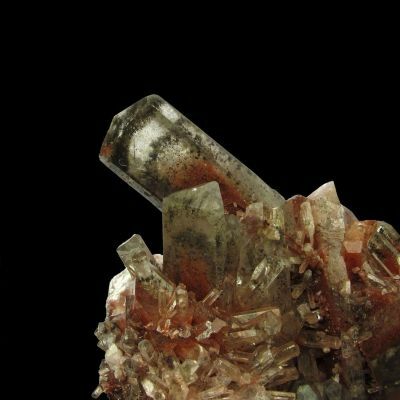 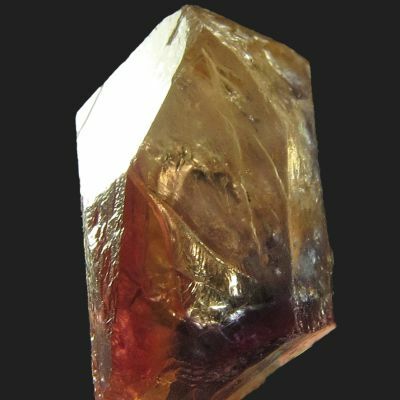 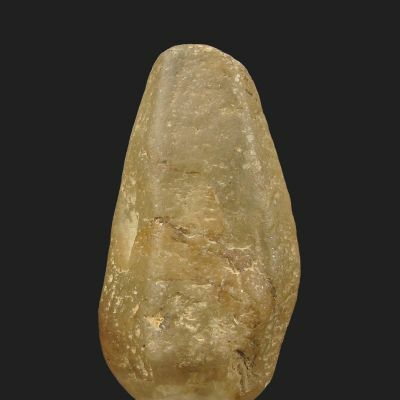 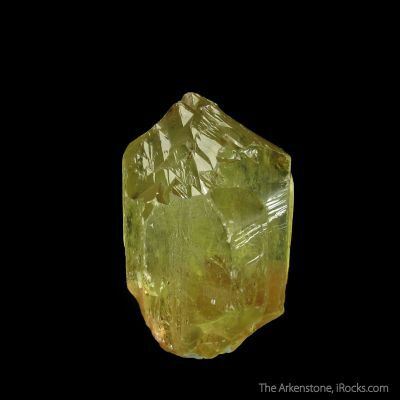 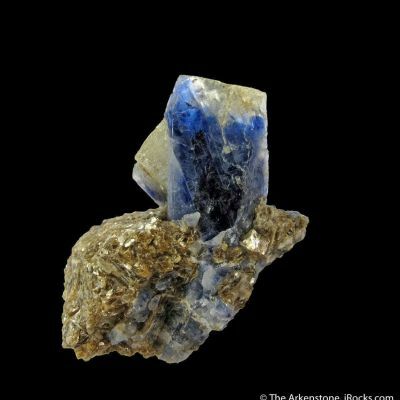 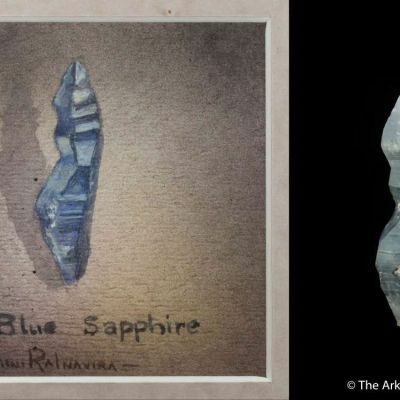 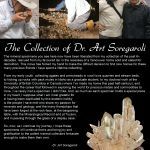 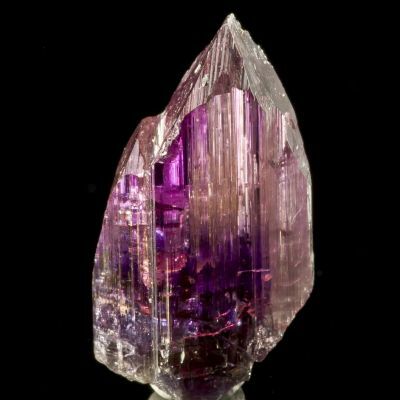 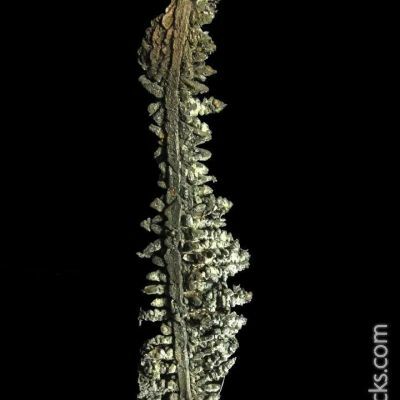 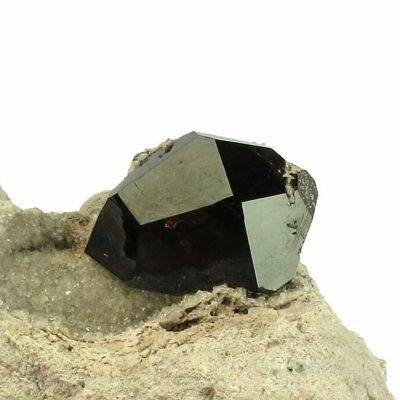 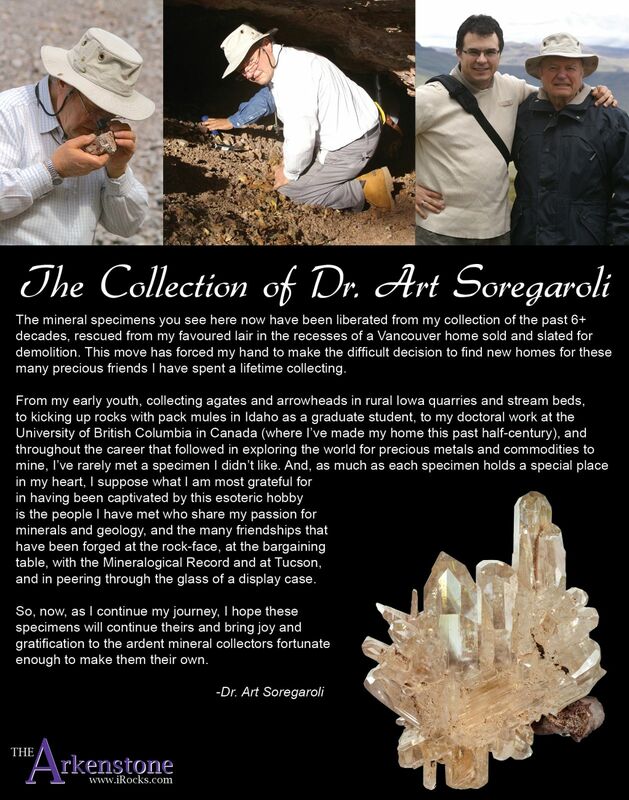 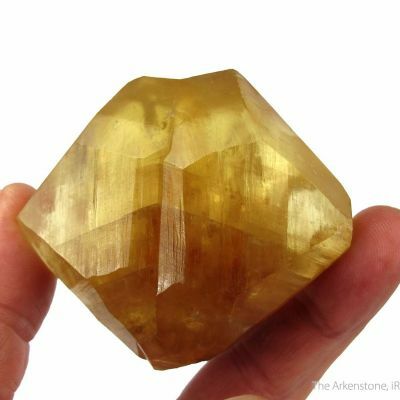 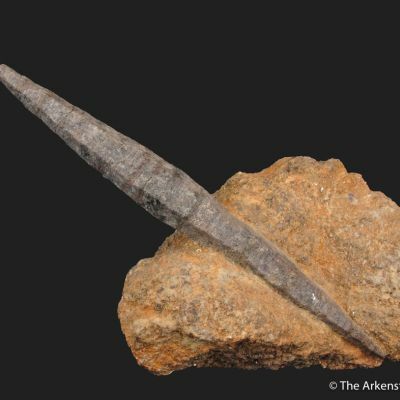 These high temperature, high pressure rocks were formed deep in the mantle, and have been favorites of collectors for years for their beauty and interest. 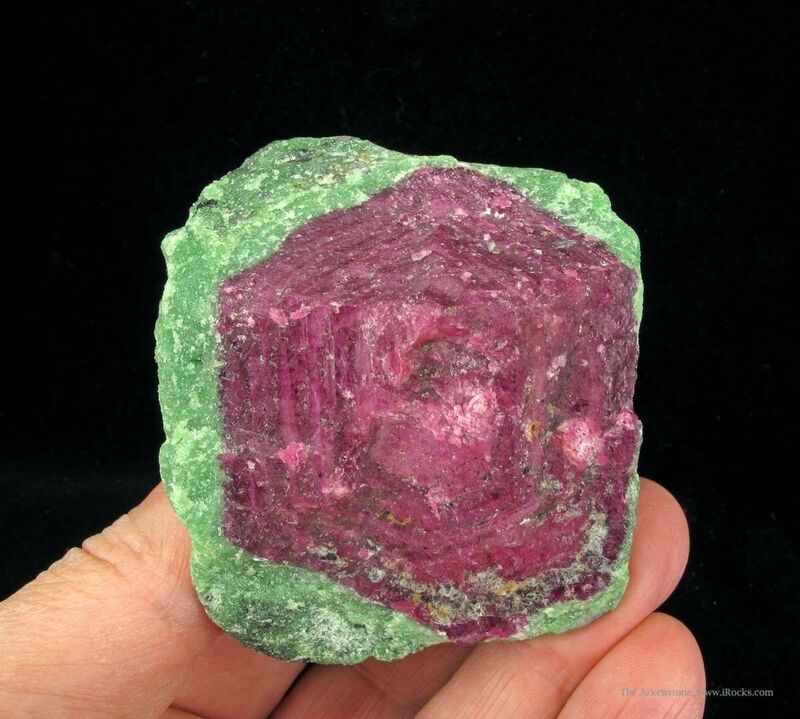 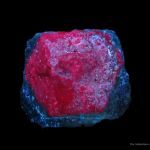 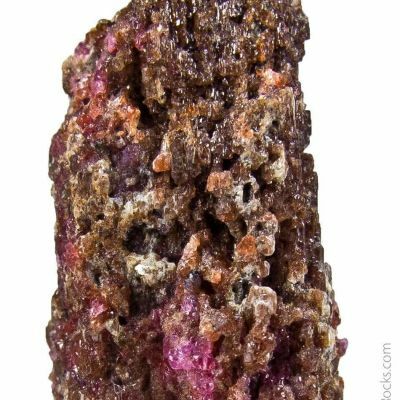 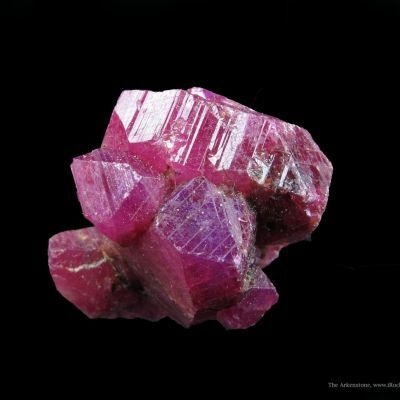 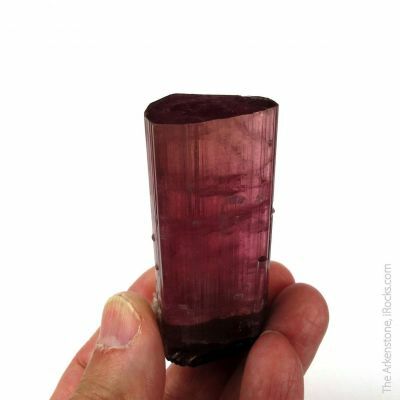 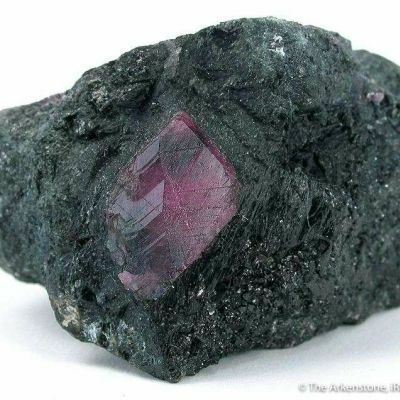 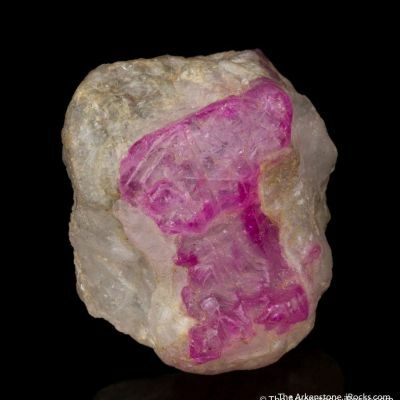 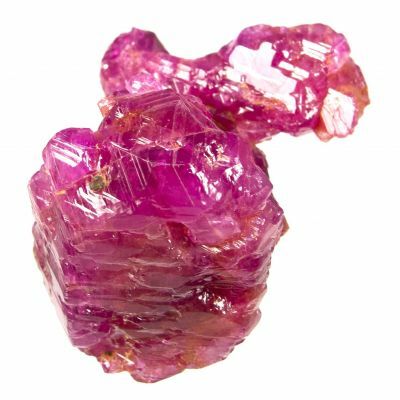 This Ruby crystal is 5.6 cm across, and you can clearly see the layered growth within the crystal. 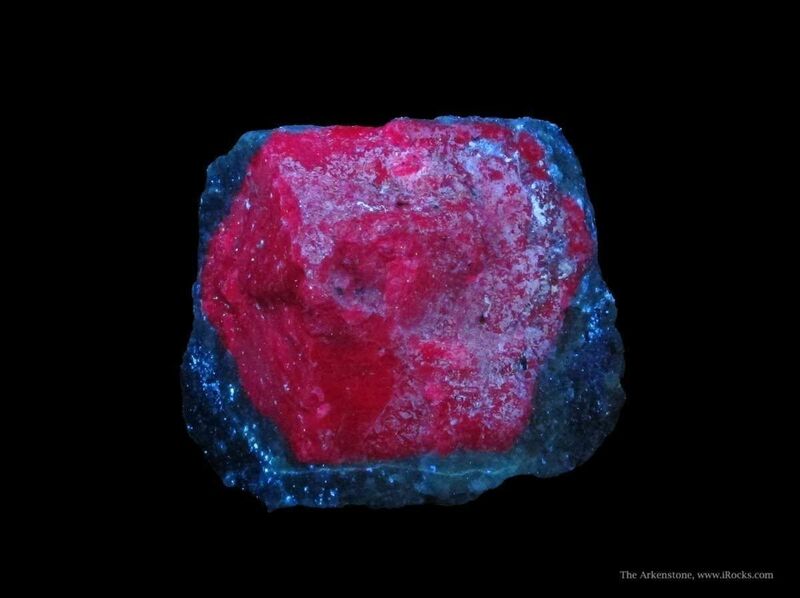 On top of that, the Ruby has a gorgeous, cherry-red fluorescence. 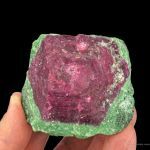 The size, color combination, and sharpness of the Ruby all contribute to a fine, attractive aesthetic.